The Emerging Planners of Georgia (EPG) is planning a Mentor Program in conjunction with GPA. The 2014-2015 program was our pilot program with a limited number of participants. The program has a flexible format so that mentors, mid-career planners, and emerging professionals can tailor their own experience. GPA members who are practicing planners at any career stage are encouraged to apply. 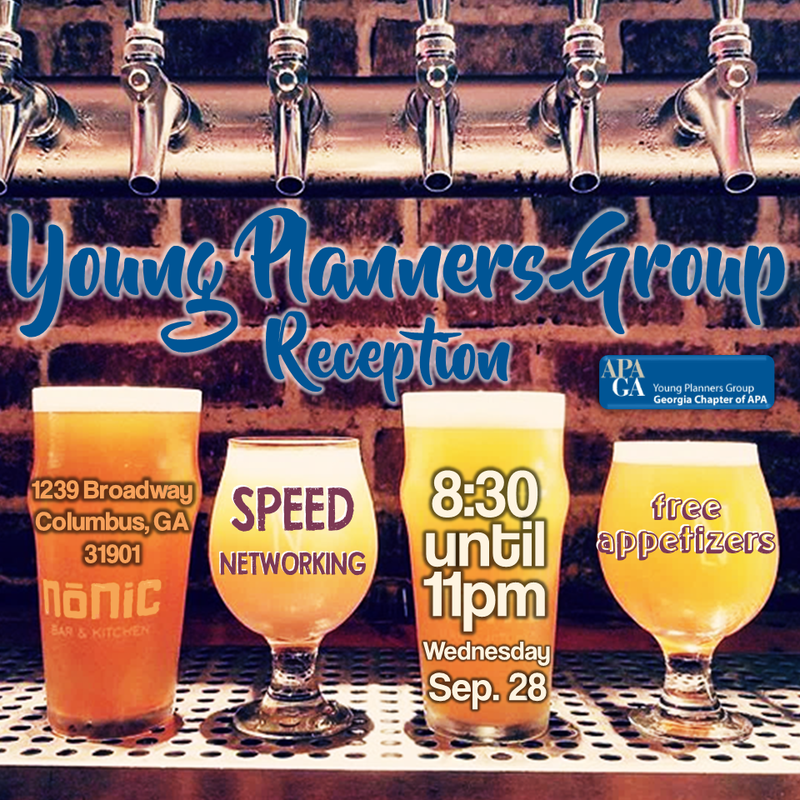 After the Awards Dinner, planners of ALL ages are invited to the YPG reception on Thursday, September 28th from 8:30 PM – 12:00 AM. The reception will take place at Nonic, located at 1239 Broadway in Downtown Columbus. Visit our wall for info, updates, and upcoming programs / events. Subscribe to RSS feeds of your choice.